A UX/UI Designer, Gamer, and lifelong Learner. I am a UX/UI Designer with experience in creating things from scratch and improving platforms that are already up and running. I want to make designs that just work. This means increasing understanding, easing complicated tasks, and collecting data to understand if we did something right - or if we need to improve. 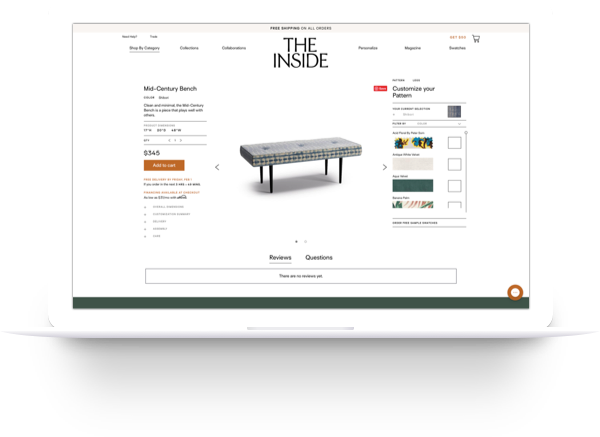 Currently I'm working at The Inside, a furniture company, as an e-commerce UX Designer. The Inside is a furniture web store that aims to sell personalisable furniture with timely deliveries. We are currently improving the site based on sales funnel analytics and user feedback. Lesson: Working remotely within a team can be difficult, but constant communication and task tracking really makes all the difference. Vanmates is a platform that helps students from around the world find housing and schooling in Vancouver. My job as a freelancer was to create an account based ecosystem MVP within a 2 month time period. Lesson: Ensure scope of the project is clear and written down beforehand for a polished MVP. The goal of Power Up is to combine my interest in video games with a real world motivational problem, like commitment to health, to create healthy habits through gamified fitness. Lesson: There's a lesson to learn from each mistake, learn from them and move forward. Lesson: Staying on task and letting one (agreed upon) person break ties makes the design process run smoother. Foxhole takes a crack at providing a customizable social media hub that aggregates the best content for you. Whether your interested in your friends' photos, funny cat videos, or the news, you can setup Foxhole to work for you. Lesson: Every piece of feedback means something, write it down. I can also make videos! I made this one for fun, using After Effects. I used Adobe Premiere and After Effects for this next one.